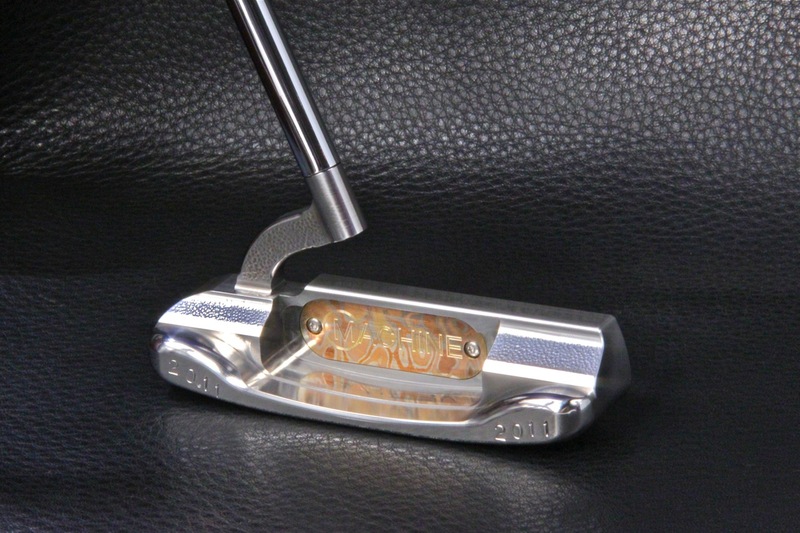 MACHINE SHOP Putters: Made at Dogleg Right’s Custom Putter Shop, with a host of customization options including head and hosel material, plating and finish combinations; lie; length; as well as special shafts and grips. 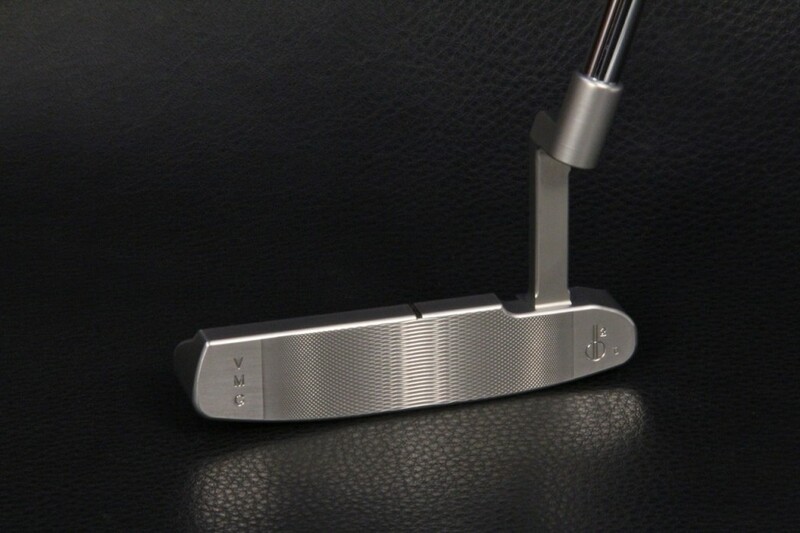 M10 Prototype ART Putter in 303 Stainless Steel. Mokume Gane Logo Medallion and hand peened finish. 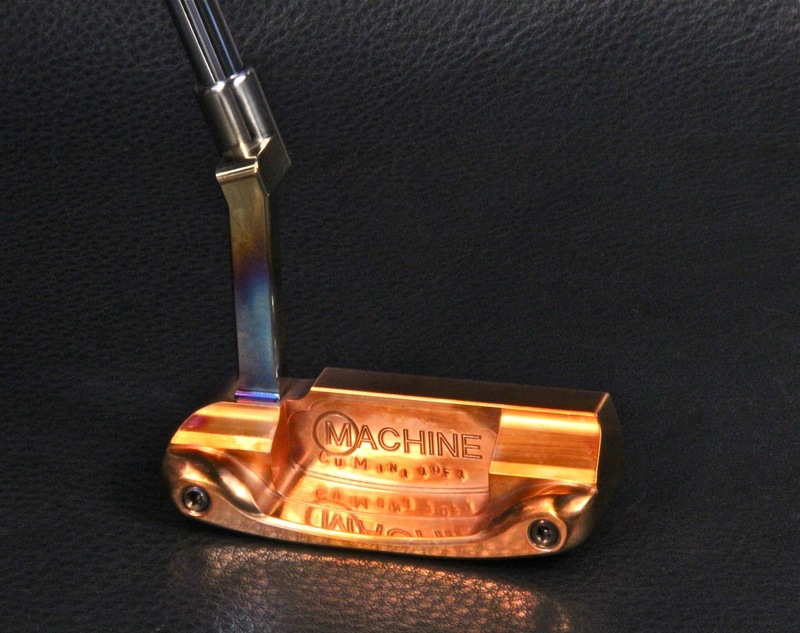 MACHINE PROTO Putters: MACHINE Prototype putters are extremely rare, often one-of-a-kind creations and innovations from Dave Billings, used to explore and test new concepts in design, construction and / or finish. These are usually made in less than five pieces total, ever, and are tested with some very special friends whom Dave works with, trusts and highly respects. Minor modifications are designs and made into subsequent models if and when they get added to the lines. Therefore, the original PROTOs are discernible, rare and unique. MACHINE ART Putters: MACHINE ART putters are Dave Billings’ most creative, artistic and expressive pieces, as well as the putters he puts the most time, (and a little blood sweat and tears into as well). 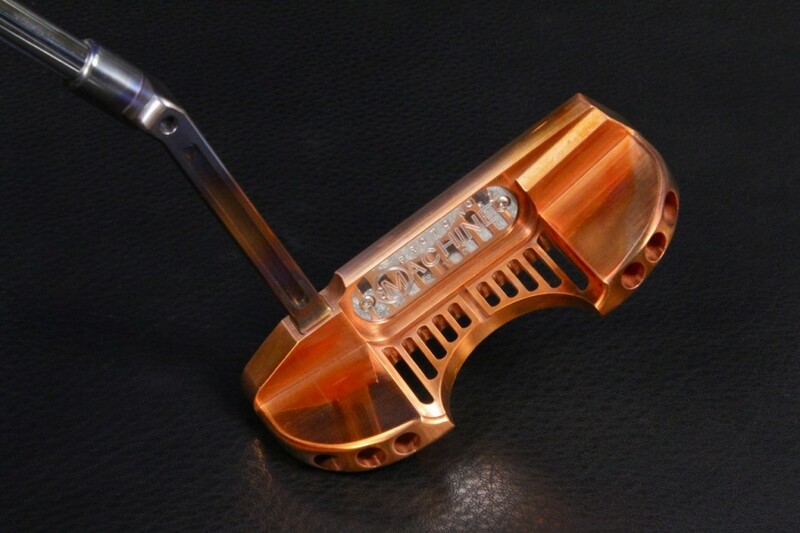 From special materials, one of a kind stamps, unique grinds, extravagant hand hammered peening, large amounts of melting, wild hand torched flaming and numerous other artistic touches, these rare and unique ART Putters are sure to find a prize spot in a few lucky putter aficionado’s collections. MACHINE GARAGE Putters: Finished by Hand by Dave Billings in his Garage, where he does his most creative work, and puts in countless hours making sure each of these putters is “just right!” From special grinds, melted edges, select hand hammered peening, special finishes, including hand rubbed satin, hand blued, and hand flamed Rainbow, to special “signature” stamps, to hand bent hosels. These are just some of the options available with MACHINE Garage Putters. 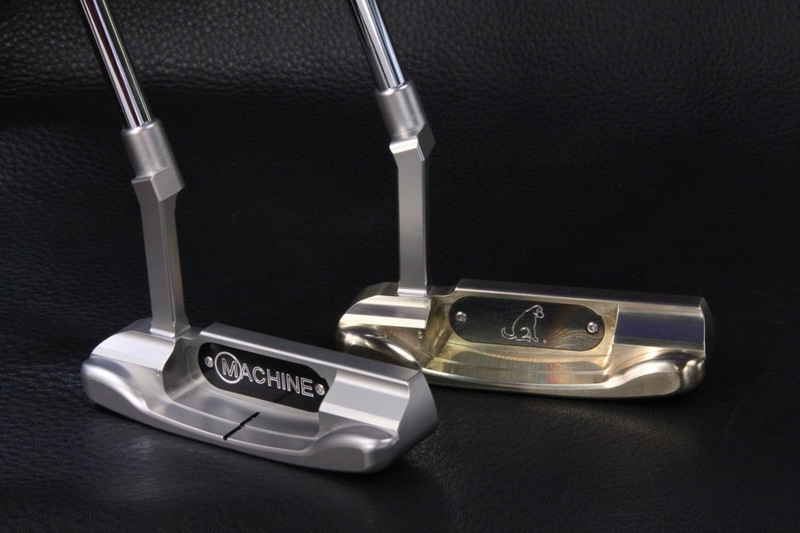 MACHINE TOUR Putters: Just as the name implies, TOUR putters are built specifically for TOUR players to try and use. Sometimes these are tested by players, and then passed on to collectors and loyal customers after coming back from their gypsy life out on TOUR. Hopefully a few will make their way into TOUR players’ bags, and on to help those players do great things! 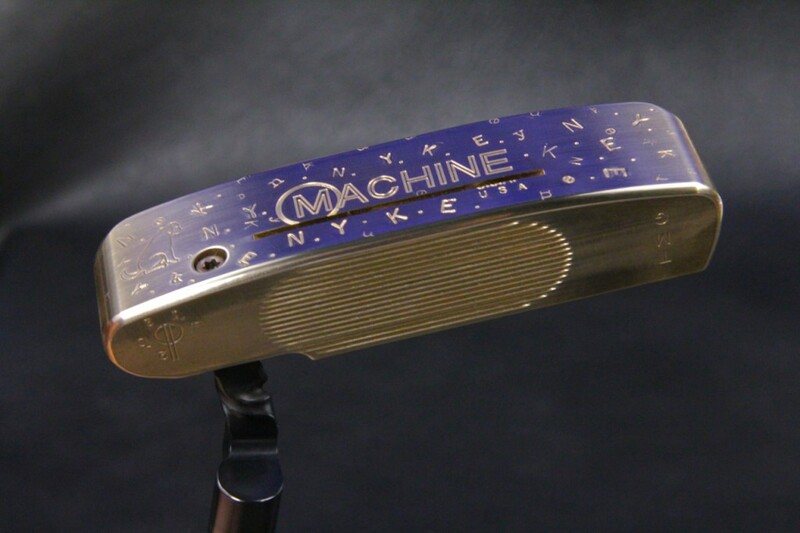 We hope your MACHINE Putters will be used to go great things too, and that you will love owning and using and owning them as much as we do making them!